Much has been reported already about the Italian international's return to Stamford Bridge, but what are the basics? The Swiss-born midfielder had a relatively successful career, playing for other top clubs such as Zurich and Lazio before landing at Stamford Bridge. He ended his playing career in 2002 after spending the eight previous years with the Blues. His managerial career started in 2008 at MK Dons. In his first season he guided them to a third place finish in League One, losing out in penalties in the playoffs. He took the job at West Bromwich Albion the following year. Again in his first season he would have success, finishing second in the Football League Championship and earning automatic promotion to the Premier League. In top flight football, Di Matteo experienced mixed success at the beginning of the season but would later slump in the winter: he was sacked in early this year. He will provide Villas-Boas knowledge of the English game and experience with Stamford Bridge. His success as a manager so quickly shows that he has an inherent understanding of what it takes to win in the England. Furthermore, he possesses the quick paced and attacking mentality that is typical of a Villas-Boas squad. Holland is not a new face to the club. In 2009 he was appointed the reserve team manager. In his first season he guided the future stars to the domestic double, the first time in the teams history. Last season he and his team won the Barclays Premier Reserve League. Villas-Boas promoted Holland to the role ofassistant first team manager for his success on the youth level. 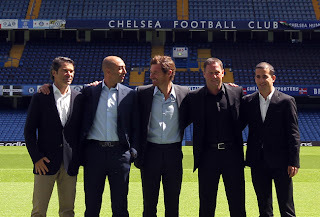 He has many assets that he will bring: like Di Matteo, he has years of experience in the English game. His two years of experience at the club will help Villas-Boas understand the system that is currently in place at Stamford Bridge. His days in charge of the youth squads can assist the Portuguese boss in learning the future players Chelsea has in its ranks. He will be the only English-born coach on the team. At 25, Sousa will be the youngest of the staff serving under Villas-Boas. Sousa is following his boss from the Iberian league where they worked together at both Academia and Porto. There is not much public information about the young Portuguese man. He is relatively new to big game, but it is safe to assume he is an adequate scout given the success that teams he has assisted on have had. It is obvious to see why the boss would appoint such a young man to be his opposition scout. First, youth brings new and fresh ideas. Every team has their weakness and tries to hide it. Sometimes younger scouts are better at identifying these weaknesses, as they are more open to different techniques and ways of looking at the game. Second, Villas-Boas has made it clear he wishes to establish a communal atmosphere in the club. With an attitude like this its easy to see why he would give a young man a chance; the very same way he did under Mourinho in the same place. Like Sousa, Rocha is following Villa-Boas from their days at Porto. Again, bringing along familiar faces is logical, especially when you plan to implement a totally new system. Rocha's priority will be to make sure that the players are physically ready for the demands of the high energy style Chelsea will be playing next season. The amount of work Rocha will have to do is really still up in the air. 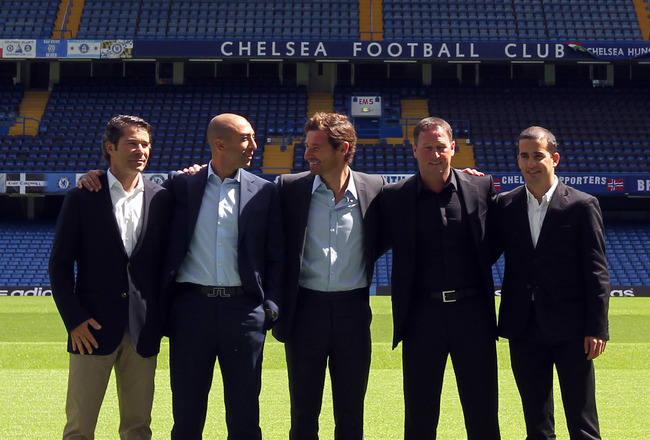 Chelsea in the past have been a team that does not show exceptional speed. They are not exactly slow, but rather just have players that utilize other aspects to play the game. Should many of the rumored transfers not occur, Rocha will have his hands full balancing the demands of a system like this against the capabilities of aging legs such as Lampard, Drogba and Anelka.